Welcome to the Create and Crave party!!! We LOVE to Create beautiful things and share the things we’re Craving! And we’re so glad you’re joining in on the fun! We can’t wait to see what you’ve been Creating and Craving this week! On to this Weeks Features Picked by Jennifer! Head over to Taylor’s Blog to see what she’s featuring this week! The Create and Crave Party starts on Sunday Nights at 10 pm CST. Link up your creative fun – ALMOST anything goes! Link Up 3 (max) of your recipes, crafts, printables, DIY Projects, anything fashion related and whatever other amazing things you’ve been sharing on YOUR BLOG. We ask that you DO NOT link up Etsy shops, giveaways or other link parties. 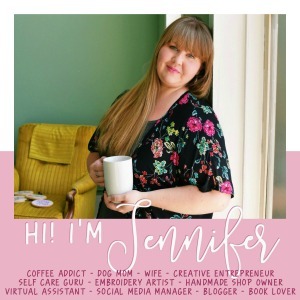 By linking up to Create and Crave, you’re giving Busy Being Jennifer and Pink Heels Pink Truck permission to feature your project and/or photos on our social media accounts and blogs, as well as add you to our news letter list for updates! Be sure to mingle and check out what some of your fellow Create-and-Craver’s have been up too! PS. We’d love to share what you’ve been up to on Instagram as well!! Be sure to use #CreateandCrave when sharing! We’ll re-gram the photos we love! Great party!! Visited a few blog posts (some great stuff! ), even found a couple of interesting ads – Thanks for hosting!